I LOVE LOVE LOVE this video! I am so appreciative to finally hear someone articulate something I have felt since I began knitting. I am very excited to present this new pattern to you! This scarf is the perfect marriage of warmth and delicate. I adore it’s versatility and I think it would also make a lovely wrap. I hope you love this as much as I do! I recently picked up a new knitting book, Berroco Comfort Knitting and Crochet Afghans, and I am in love with it! I have felt the urge to create beautiful afghans for my loved ones for a long time, almost as soon as I learned to knit. I have been relentlessly hunting for patterns which I thought would fit modern decor, but were classic enough to last through the decades. 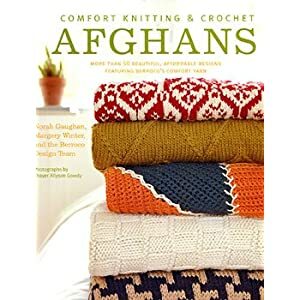 My hunt has finally come to a close as I picked up this book, because I have found an afghan for every family member in it. It has gorgeous design features, the photographs are stunning, and the patterns are not pages long. As someone who has never crocheted more than a single chain, this book even gives me fleeting urges to learn crochet so I can knit some of those afghans as well. I say fleeting, because let’s face it, I am much more likely to try to create a knit design which looks just like the crochet one than I am to learn crochet. I have nothing against crochet, I just love knitting too much to put it down. The yarn, Berroco Comfort, is a familiar friend of mine. It’s soft, comes in tons of beautiful colors, and it’s machine-washable. I think making an afghan easy to care for is really important because I want it to last and look as beautiful 25 years from now, as it does now. I also appreciate the low price! There are a few designers that have come together to create this book, but for me, Norah Gaughan has taken the cake! Every pattern that I noted I wanted to knit was a Norah Gaughan design. Perhaps I am just very predictable, but I think she is a knitter of exquisite taste and skill whose designs make me want to run to the LYS and cast on NOW. Retro is an awesome textured afghan made with mock cables and inspired by designs from another decade. I love it because it has a distinctly masculine feel to it, IMHO, and I have found it especially challenging to find male-friendly designs. In some on-line photos, this afghans appears to be a blue color, but the yarn they used is actually a grey. I think it would look awesome in a Denim Blue, but the grey is also nice. Because I have a person in mind for this one, who is a very tall guy, I will be adding panels and also lengthening them. In truth, I found a lot of the afghans in this book to be on the small side, so I will be editing the designs myself to make them bigger. 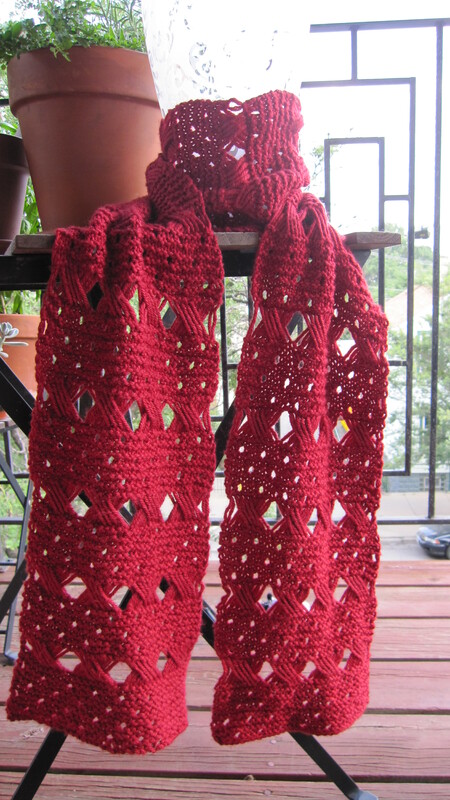 I am also hoping to knit this in one piece, so I will be creating a new chart for myself to allow for that. Wish me luck! Textured Knots was an immediate favorite of mine. It was truly love at first sight, I saw it and I knew I will just have to knit it. It looks modern, yet classic. The cables are gorgeous and this yarn defines cables well. Aran was another beauty that caught my eye. I saw this afghan and I instantly thought of my mother. The woven cables might as well have been calling her name. I have already been surfing the collection for the perfect color to compliment her taste (and her living room). I hope she will love it as much as I do. Finally, Mindful, which is not a knit design and not Norah Gaughan, has been haunting me. I love it. I have no idea how to crochet, but I really want an afghan which looks like this. I am toying with the idea of charting it out as a double knit design, but please do not feed my insanity by supporting these thoughts. What kind of crazy knitter would double knit an afghan??? There you have it. Aside from the afghans being a little small for my taste, these patterns are inspiring and lovely. I think this book has finally given me the designs I need to be able to swath my loved ones in afghans they will love forever. Thank you, Berroco. It is 90 degrees in my apartment right now and I have multiple fans pointed at me to create some semblance of a “cross-breeze.” The A/C has been broken for two weeks. We take refuge from the heat at work, in movie theaters, and frequent trips to Haagen-Dazs, but for the most part we’re melting over here. And yet, here I sit, knitting away and reading new fall knitting magazines. Even as I sweat it out, I can’t help but think of the accessories, baby items, sweaters and afghans I am hoping to create this year. I am dreaming of loved ones dressed head-to-toe in cozy hand knits and long evenings spent knitting in my favorite leather chair. I am even still knitting. 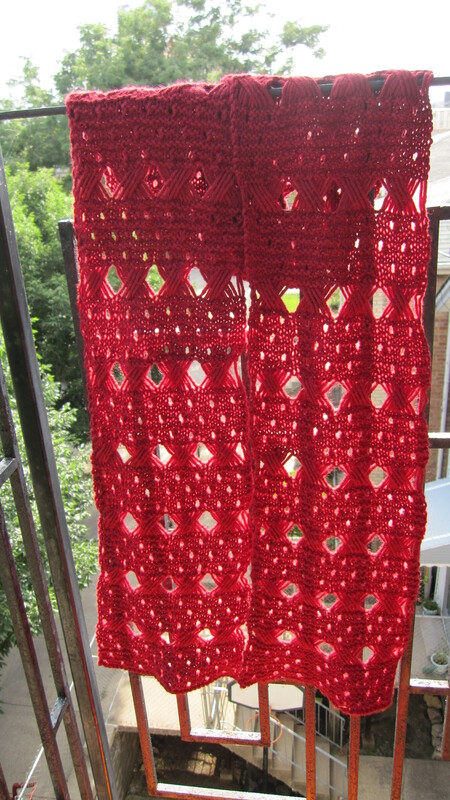 I am halfway through a lace stole, despite my urges to cast on an afghan, in the interest of preventing heat stroke. From M Missoni, a beautiful Cashmere Knit Vest in Black and White. I would wear this EVERY DAY! This Cashmere Knit Top is Oscar de la Renta. I saw this and immediately tried to figure out how to knit it. I love the design, with it’s classic lines and interesting lace panels, and it could be worn anywhere. Below is more of the Fall 2010 D&G Collection. DIVINE INTARSIA!